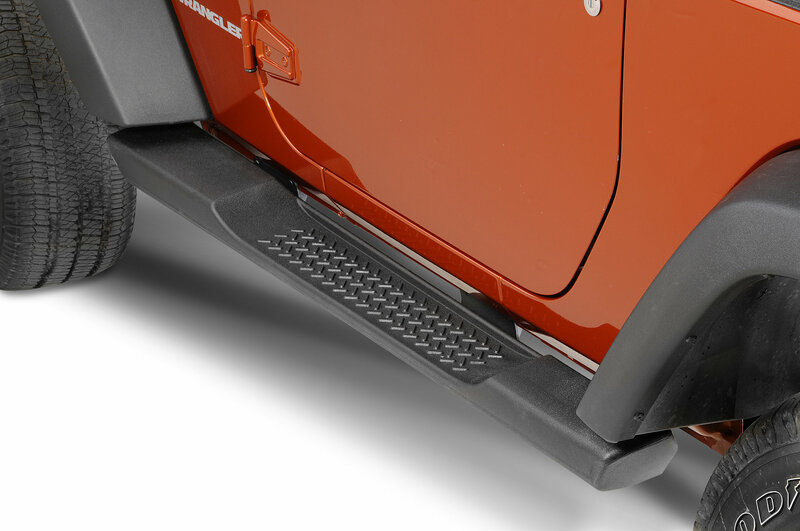 These Molded Side Steps are the production steps included on Sahara and optional on X models. 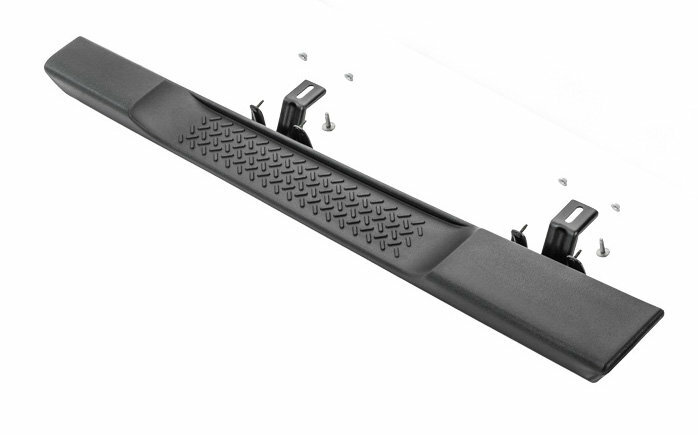 Made from durable black plastic with steel substructures, they provide stepping surface for easier entry and exit on Wrangler. I purchased these for my '08 JK2D. EASY installation! My Jeep was factory predrilled for the hardware. Simply slide the speed nuts into the floor, fit the steps to the body, install the two bolts and start the 4 hex nuts to the mounting brackets. Tighten it all up and repeat for the opposite side! All in it may have taken 15 min for installation. Actually less than 1 star; they didn't fit. 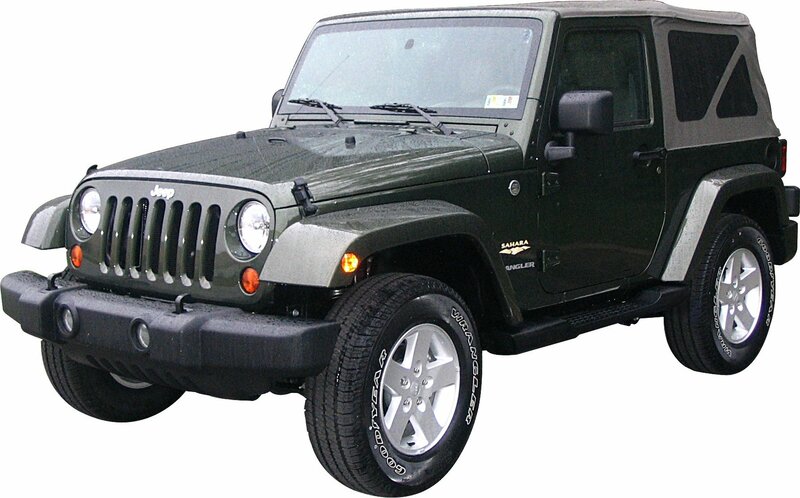 Despite the ad that claimed they fit a 2013 JK2D Wrangler they didn't. In order to make them stable there are two screws which are supposed to fit in holes "pre-drilled at the factory"...no such holes. I returned these and went with Smittybilt side steps. The photo shows only one pictured, but says steps, can you verify that this is for a set for both sides for one total price of $369? Does this item come with both sides (two steps)?